This Event has been read: 784 times. I guess wine is considered to be above the law when it comes to the FDA and other organizations that regulate what we consume. Even though most wines are made with very little other than the grapes themselves, there is no way to know based on the label, it is one of the only products that you consume that does not have a list of ingredients- even bottled water is required to have a list of ingredients today. The best wines today are made with either: sustainable, organic or biodynamic practices and this is not only to make better wines but to maintain better vineyard health. Just like it is bad for us humans to take antibiotics every time we have a little sniffle or cough, the vineyards are healthier and will live longer more productive lives if they are maintained with natural principles. Like one of the top wines from Chile we will be showing at our Chile versus Argentina wine tasting on Friday, August 17th which is made from a vineyard planted in 1890! There are very few places where you can find old vines like this, especially ones that are planted on their own rootstock! 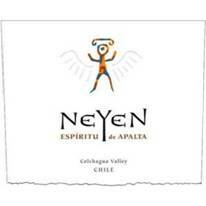 This wine from Neyen winery is one of the best wines that I have tasted from Chile and is on par with some of the best wines that you will find from anywhere in the world today. This is only one of the thirty + wines that we will be showcasing this evening. These two countries are making some of the best wines in the world, especially when it comes to Bordeaux varietals. It is hard to beat Chile and Argentina when it comes to value and each country has its own specialty that is unique in the world of wine in terms of grape varietals and there will be a lot of Carmenere and Malbec on the table this evening. It is hard to find wines that are over $100 a bottle from either country and you can still find many of the top wineries top wines at under $50 per bottle like the Diamandes Grand Reserve and the Grand Vin from Cuvelier de Los Andes both of these wines are Most Excellent and are a part of the Clos de los Siete group that French Vintner Michel Rolland put together in Mendoza. We have the best price in the country on many of these wines and we have over 30 other wines on the table this evening along with Toni’s empanadas! This is a walk around tasting in the Wine Cave and is limited to 35 tasters; the fee for this event is $55 + tax for reservations call 954-523-9463 or e-mail andy@winewatch.com. A blend of 50% Carmenere and 50% Cabernet Sauvignon. Intense, ruby red with hints of purple. Complex aromas of strawberry, raspberry, plum and cassis mingle with hints of pepper and vanilla. A soft and elegant wine, with ripe tannins and low acidity. On the palate, the fruit takes the main stage, with prominent flavors of raspberry and plum. The finish is long and persistent. Pure pale gold with green hues in the glass. Fascinating notes of Bosc pear, white peaches, passion fruit and pineapple, beautifully accompanied by orange blossom, white flowers and subtle notes of bread crust. On the mouth, it shows a creamy texture, good volume and bright acidity. An elegant chardonnay with a great bouquet, balanced and persistent. Varietal Composition 87% Cabernet Sauvignon, 8% Cabernet Franc and 5% Petit Verdot. This bright deep-red wine has a nose of sweet red berries and menthol. It tastes of berries, white pepper, and cassis. Its strong acidity and round tannins give this wine a complex highly concentrated structure. Intense and inviting floral violet aromas with red and black fruit aromas of plum, cherry, blackberry, and boysenberry. The fruit and floral flavor intensity continues on the rich, full-bodied palate, balanced by firm tannins that persist on the long finish. Our Malbec Rosé has a soft pink color with a vivid purple hue. The aroma is intense, expressing fresh fruits like cherry, strawberry and watermelon. With notes of rose petals and raspberries on the palate. Delicate, with a round and fresh finish in the palate. The color is yellow with slight greenish tones. On the nose, there are white flowers, peaches and apricots. Very fresh and persistent on the palate with balanced acidity and a long, pleasant finish. Our Sauvignon Blanc presents a bright, yellow-green color with a great aromatic intensity of grapefruit and other citrus fruits. On the palate, its balance of fruit and acidity enhance its fruit personality. It is a young, fresh wine, perfect to pair with seafood. Ruby intense and deep in color, it has spicy aromas, such as paprika and oregano and delicate notes of tobacco and coconut from the oak aging. Delicate and complex in the palate, it expresses good structure and soft tannins, with a sweet texture. The wine has a very bright and intense violet color. Its aroma expresses red fruits like strawberries and cherries, balanced with the spicy notes of the oak. On the palate, it is round, with soft tannins and delicate mineral notes proving to be a wine of great character and remarkable structure. Deep ruby in color, with an intense aroma of roasted pepper, eucalyptus and spice. Its entrance on the palate is sweet and smooth, due to the presence of round and ripe tannins. The wine is aged in new French oak barrels for 18 months, giving the wine an elegant and long finish. In color, the wine is an attractive, intense red with dark tones. It expresses fruit notes of plum, cherry, and dark fruits, with several spices like thyme, oregano, and black pepper, given by some of the components of the blend, which make the wine delicate and complex. On the palate it is elegant but structured, with a persistent finish making it a wine hard to forget. Bright, red color, expressing aromas of flowers and red fruit such as red currant, raspberry, and strawberry. Earthy notes with touches of minerality are subtly balanced with hints of vanilla and cocoa. Bright and juicy on the palate, the texture shows ultrafine tannins, giving a finish of depth and dimension. Pale pink color, with delicate floral aromas of jasmine, orange blossom and rose petals. The palate is crisp, fresh, with a bright acidity and balanced fruit expression. Atanea is the name of the line of wines I make with my friend and partner Emeric in Casablanca Valley. We are in control of the whole process. From the manual, organic and biodynamic care in the vineyard to the natural wine-making process in the winery. We select our Pinot from the coolest parts of Casablanca Valley.? Light and pale yellow color with green reflections. White flowers and lemon peels dominate its nose that also shows ripe pineapple and passion fruit. In Mouth this wine of refined texture and unctuous mid palate will show, on top of all the flavours of its nose, its granitic minerality and will evolve towards a long finish with notes of dried fruits and pine needles. 100% Malbec The deep purple-colored Grand Malbec has a stunning aromatic display of pain grille, mineral, espresso, black cherry, and black raspberry. Large-scaled yet elegant on the palate, it has gobs of succulent black fruits, serious depth and concentration, and enough stuffing to unfold for another 5-7 years. Good full and bright red. Aromas of blackcurrant, plum, chocolate and meat. Soft, varietally intense and precise with good energy to the flavors of currant, plum, snuff and land. It ends with sweet tannins, slightly dusty, a note of cherry and solid structure. This is a walk around tasting and is limited to 35 tasters; the fee for this event is $55 + tax for reservations call 954-523-9463 or e-mail andy@winewatch.com.